Hosted by Andy Ihnatko and Florence Ion. 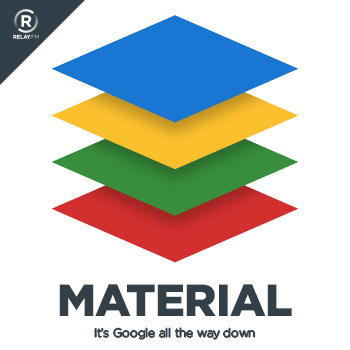 Material is a weekly discussion about the Google and Android universe. Your intrepid hosts try to answer the question, “What holds up the digital world?” The answer, so far, is that it’s Google all the way down. #79: Shouldn't You Be Partying? It's the final episode of 2016 in a week devoid of any news whatsoever. So what do your intrepid hosts get up to? We'll leave that as a mystery best unwrapped by you, the listener. Zarah Dominguez 🦉 on Twitter: "Temp below zero? Don't care, I want a sweater for my Pixel. https://t.co/JH5iSsH5Zd"
Google on Twitter: "It's sweater weather in NYC. Follow us live @Google on Snapchat to get knit at our #pixelsweater pop-up. 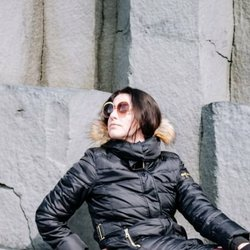 ❄️ https://t.co/X4v2o3PY2u"
Material Podcast on Twitter: "[email protected] gives 2016 the boot. Maybe next year @rustyshelf will have enough money for credits. 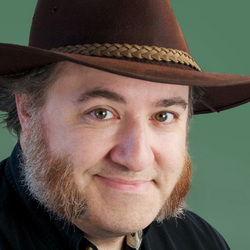 @Ihnatko is our only hope. 🍻Cheers! https://t.co/AhQwg3wy01"
Yasmine Evjen on Twitter: "The Adventures of Yasdroid! 😍 @jellybeansoup it's here, it's finally here! https://t.co/fZLyI1zqxK"
Rebecca 🇿🇦 on Twitter: "Still a lot to understand and tinker with but I managed to get my Raspberry Pi up and running with #AndroidThings 🤓 https://t.co/ojHj46kzhn"